The Double Major/Dual Degree is making the most of your time at the University of Arizona! In the past few years there has been increasing demand from undergraduate students that their degree be marketable to prospective employers upon graduation. While a liberal arts education aims at giving students a diverse education, without specific preparation for a particular job of field of employment, some employers have preferences regarding particular fields of study in which their prospective employees hold their degrees. Given this, completing a degree as a double major, or completing two concurrent degrees (dual degree) can put a graduating student in a better position to secure a position with a preferred employer. Students who pursue double majors and dual degrees report their education experience as more favorable than students who pursue single majors/degrees, and they are more likely to be accepted into their preferred graduate program, and have more options for graduate degree programs. In addition to this, studying more than one subject with the depth that completing a major course of study provides encourages an interdisciplinary approach to problem solving along with a more nuanced understanding of the complexity of contemporary topics and subjects of study. 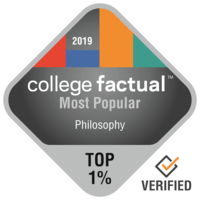 The University of Arizona and the Philosophy Department encourage our students to make the most of the time spent in pursuit of an undergraduate degree. In accord with this, the Philosophy Department allows 6 units of double-dipping with any other major. To share major courses, both majors must allow double-dipping. For a list of Double-Dipping policies for some Departments and majors at UA, go HERE. We have also forged agreements with several departments across campus to encourage our students to double major in our programs.Our policies for double-use of course credit can be viewed for each major pairing by clicking the links below. Double-use of a course constitutes using one course for two different course requirements. This is generally allowed only for course requirements in the major, and not for Tier-1 General Education requirements, or for minor requirements. The exception to this is that PPEL allows double-dipping with a Philosophy or Economics minor. Contact the Academic Advisor for PPEL, Sarah Williams, for more info. Because of these policies, many students can complete two majors in four years. Students who double-major are not required to complete a minor, and students in dual-degree programs can often use courses from the second degree toward minor requirements in the first degree. Contact your advisor for more details. While we do not yet have formal policy arrangements in place with the following departments, it is possible that we will have a policy in place in the near future. It also might be possible for you to set up an arrangement for your particular situation. As a general rule, Philosophy allows 6 units of cross-listed major coursework to apply to a second major if the other major also allows double-use of courses. Contact Sarah Williams in the Philosophy Department, and your other major advisor to find out if double-use of units is possible for you. Tier-2 Humanities: Up to two Tier-2 courses (6 units) used to satisfy General Education requirements can also be used to satisfy your minor requirements. Contact your minor advisor or your Philosophy advisor, Sarah Williams for details. Philosophy allows students to double-dip up to 12 units of coursework between the Philosophy major and a Philosophy minor in a sequential degree. Students may not double-dip units between any major and any minor under the same degree (i.e. B.A., B.S., B.F.A., etc.) per University Policy. Economics Minor: PPEL Majors who wish to complete the ‘Moral, Economic and Political Values Track’ and declare a minor in Economics may waive up to 12 units of required courses in the PPEL major with an ECON minor. Students may automatically waive ECON 200 and three Track requirement courses in PPEL with completion of three upper-division Economics courses in the ECON minor. (These course exceptions are made by your PPEL advisor. Contact Sarah Williams if you are a PPEL major who declared an ECON minor. To declare an ECON minor, you must attend an info session. For more information and link to info session signups visit: https://econ.arizona.edu/undergraduate/minors) This has the effect of being able to complete the PPEL major and the ECON minor with only 6 additional units (2 courses) more than what is required to complete the PPEL major alone. Philosophy Minor: PPEL Majors who wish to complete the ‘Moral, Economic and Political Values Track’ and declare a minor in Philosophy may waive up to 12 upper-division units of PPEL Track requirements with four upper-division courses in the Philosophy minor. This has the effect of being able to complete the PPEL major and the PHIL minor with only 6 additional units (2 courses) more than what is required to complete the PPEL major alone. Visit http://philosophy.arizona.edu/philosophy-minor or contact your advisor, Sarah Williams for more details.